Miami, FL – October 16, 2018 – The annual Everglades Awareness Concertcontinues to be one of the area’s longest running concert series and one that champions the area’s most important natural resource. Now in its 11th year, the event moves over to the Jackie Gleason Room in Miami Beach’s Fillmore Theater (1700 Washington Avenue, Miami Beach, FL 33139) and takes place Saturday, November 3, 2018, beginning at 4 p.m. The all-ages event is free for children under 12, and $15 for adults during the pre-sale period on Ticketmaster.com, and $20 at the door. There’s a $5 discount available for seniors, veterans, students, and Miami Beach residents. “This year, Love The Everglades Movement has taken the Everglades Awareness Concert to the next level by connecting with the Fillmore on Miami Beach,” says concert organizer and community activist Flash. “By hosting this dynamic showcase in one of South Florida’s premiere venues, we are amplifying our empowering message into the heart of the region that is being directly affected by sea level rise and climate change. There will be live musical performances by: Iko–Iko, The Spam Allstars, Army Gideon, Tamboka, Above the Skyline, Venus Rising, Kuyayky, Mr. Grim da Reapa, Grant Livingston and more to be announced. This will be the first time that the event will be held in the famous Art Deco venue that was once home to the Jackie Gleason Show, and now hosts national and international touring acts and productions. Guest speakers will include: Houston Cypress from Love The EvergladesMovement, Betty Osceola (Walk for Mother Earth), Tim Canova, Candidate for U.S. Congress, along with other representatives from community organizations and concerned citizens to be announced. There will be dance performances by Melody Gedeon, Elviza and more. Spoken word artists will include Alonso, Rebecca Butterfly Vaughns, and others, plus attendees can enjoy live art from Anibal Fernandez, Linx, Anastasia Sultzer, and more. A digital art show highlighting more than 40 artists will run on a continuous loop. Information booths from Love The Everglades Movement, and other organizations will be present. Vendors and small businesses including The Wallflower Gallery, ProgressiveRags, and others will be promoting and selling their merch. The concert is also being sponsored by Sunkeeper Solutions, and is made possible with the support of the Miami–Dade County Department of Cultural Affairs and the Cultural AffairsCouncil, the Miami–Dade County Mayor and Board of County Commissioners. Production support by provided by Fillmore Miami Beach, 7th CircuitProductions, Resurrection Drums, Mut Communications and One Love MiamiPhotography. For more information, please visit https://www.facebook.com/events/521661158286635 or call 305.579.0069. This entry was posted in Blog and tagged everglades, live music, love the everglades movement, ploppy palace. Bookmark the permalink. 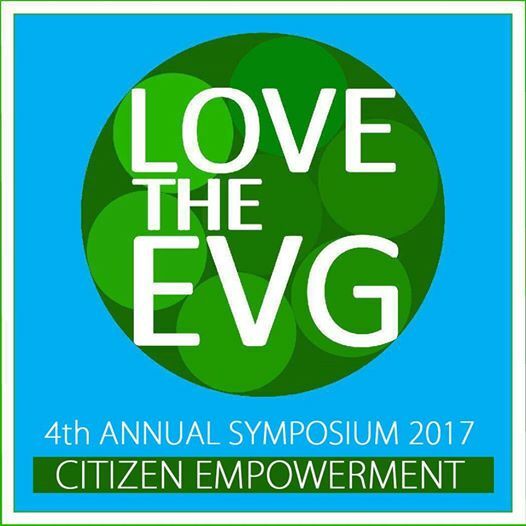 Miami, FL – September 19, 2017 –The Love the Everglades Movement invites residents of all ages to learn how ways to participate in conservation and activism during their annual symposium, to be held next month at the Miccosukee Resort & Convention Center, at Florida International University and the Everglades. As in years past, the series of talks, lectures, and workshops features local industry leaders, elected officials and candidates running for office, indigenous voices, and other officials in a collaborative, artful and spiritual manner. The event kicks off Saturday, October 7 at 9 a.m. (location: 500 SW 177th Ave, Miami, FL 33194) and is free to attend with registration. Confirmed speakers include: Tim Canova (Progress For All); Sam Van Leer (Urban Paradise Guild); Mike Matthews (Miami Dade College Earth Ethics Institute); Craig Van Der Heiden (Miccosukee Fish & Wildlife); Lyanne Mendez (Miccosukee Real Estate Services); and Julian Douglas (Miccosukee Water Resources). Also slated to appear: Gean Moreno (Institute of Contemporary Art, Miami); Trenise Bryant (Miami Workers Center); Daniel and Lorna Bravo (The Florida Monarch Waystation School Project); Steven Machat (candidate for Congress); Garrett Rowe (Miami-Dade Regulatory & Economic Resources Planning Division); and Cody Phillips (Saving the Face of Florida). Additional speakers will be announced. There will also be a digital art show curated by local activist and promoter Flash (who is producing the 10th Annual Everglades Awareness Concert at Gramps on November 4). The Symposium will feature videos, networking and live entertainment by Michelle Grant–Murray with the MDC Jubilation Dance Ensemble and Florida folk artist, Grant Livingston. The following organizations are slated to have display booths: Love the Everglades Movement, Miccosukee Water Resources, Miccosukee Fish & Wildlife, Miccosukee Real Estate, Urban Paradise Guild, Well of Ancient Mysteries, Sierra Club Miami, Artists In Residence In Everglades (AIRIE.org), and Minnie Lou Billie. Booths are free and available to community organizations, but will be prioritized by actionable items of environmental concerns. A complimentary lunch will be served by the Miccosukee Tribe of Indians of Florida. Day two will happen at F.I.U.’s Modesto Maidique campus, located at 11200 SW 8th St, Miami, FL 33199, on Sunday, October 8. Some of the topics include “Indigenous Sovereignty and Land Use”, “Impacts of Phosphate Mining in Central Florida”, “The Urban Development Boundary in South Florida”, “The health of Biscayne Bay”, and others to be announced. The event culminates with a volunteer environmental cleanup near the Valujet Crash Memorial Site. Specifically, the location is the L-29 Levee and L-67 Levee, west of the resort and along the Tamiami Trail. Admission to the events on the 7th and 8th is free, but because space is limited, registration is required. For more information, visit www.lovetheeverglades.org. This entry was posted in Blog and tagged conservation, love the everglades movement. Bookmark the permalink. Miami, FL – August 15, 2017 – The South-Florida based conservation and activism group Love the Everglades Movement is hosting their 4th Annual Everglades Symposium including a series of talks, lectures, and workshops by local industry leaders, elected officials and candidates running for office, indigenous voices, and other officials October 7, 8 and 15. The events will focus on citizen empowerment and include divergent perspectives on science, policy, activism, and arts and spirituality. The symposium will include information booths from a diverse selection of community organizations, and the booths are free for community organizations. They will be prioritized by actionable items of environmental concerns. Topics covered will include “Indigenous Sovereignty and Land Use”, “Impacts of Phosphate Mining in Central Florida”, “The Urban Development Boundary in South Florida”, “The health of Biscayne Bay”, and much more.There will also be live music. Attendance is free but registration is required because space is limited. Lunch will be provided by the Miccosukee Tribe of Indians of Florida to registered attendants. This entry was posted in Blog and tagged conservation, everglades, love the everglades movement. Bookmark the permalink. 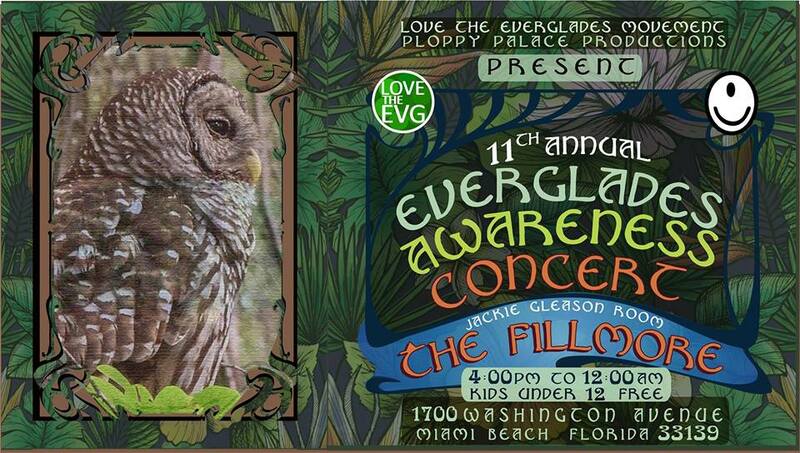 Miami, FL – August 30, 2016 – In a continuing effort to raise funds and awareness of environmental issues, Love the Everglades Movement and Ploppy Palace Productions will host their annual benefit concert on Sunday, September 18, 2016. The event, which will be highlighted by musical performances by the Spam Allstars, Iko–Iko, the Magic City Hippies, the Baboons, the Nag Champayons, Army Gideon and others, will be held at Gramps (176 NW 24th Street, Miami, FL 33127), beginning at 2 p.m. All ages are welcome; admission is $10, children under 12 are free. This year’s lineup of guest speakers include: FL State Rep. David Richardson, Laura Reynolds from Conservation Concepts, Rhonda Roff from Sierra Club Callusa Chapter, Dara Schoenwald and David Doebler from VolunteerCleanup.org, George Cavros from Floridians for Solar Choice, Sam Van Leer from Urban Paradise Guild, Michael Gibaldi from Surfrider Foundation Miami Chapter, Samuel Tommie and other concerned citizens. The Everglades Awareness Benefit Concert Series is a grassroots platform for community participation that strives to bring people together through the arts. With a diverse roster of performers and speakers, this event provides entertainment and education about the Everglades. The showcase works to present the issues and inspire people to get involved, while having a good time. Additionally, there will be spoken word by Alonso, Marcus Blake, Rio and more, dance performances by Venus Rising: Women’s Drum and Dance Ensemble, Elviza’s Rockabelly Hippies featuring Elviza, Symphony & Sofia Luna plus Melody Gedeon and others, as well as live art by Anibal Fernandez, Linx and Rei Ramirez plus there will be a digital environmental art show featuring more than 30 artists who will be showcasing photography, painting, sculpture and mixed media pieces. Submissions will be accepted through Tuesday, September 13 – go to www.ploppypalace.com for more details. Also scheduled to perform: Medicine Box, the Oski Foundation, Blue Sky Drive, Chantil Dukart, Above the Skyline, Spank, Zen Per Capita, PATH, Kuyayky, Rachelle Coba, Sarah Packiam, Michelle Forman Duo, Steve Minotti, Grant Livingston, Anthony Nelson, Mr. Grim Reapa, Orion, Raven, Michelangelo, Matt Bodi Brenowitz, Haviken Hayes and more TBA. There will be another up Everglades clean-up on Sunday, September 25 – more info TBA. Tickets to the concert can be purchased in advance online here: evergladesconcert9.eventbrite.com. Those who cannot make it to the concert in September can still help the cause by making a donation to the group’s online fundraiser: www.gofundme.com/lovetheeverglades. For more information, visit www.LovetheEverglades.org, www.ploppypalace.com, www.Gramps.com, or call 305.579.0069. This entry was posted in Blog and tagged benefit concert, everglades, love the everglades movement, wynwood. Bookmark the permalink. Who: Love the Everglades Movement, a volunteer organization dedicated to implement evolving strategies across the full spectrum of being which address the environmental, structural, cultural and spiritual problems plaguing the Florida Everglades by raising awareness and organizing positive community engagement at the local, regional, national and global levels. What: The 3rd annual Love the Everglades Movement Summer Symposium‘s focus will be Everglades ecology, spirituality, activist reports on environmental crises, theology, art, and activism. It will feature guest speakers including Florida State Senator Dwight Bullard, Florida State Representative Mark S. Pafford, Miami-Dade County Commissioner Daniella Levine Cava, author Thomas E. Lodge and others, physical and digital art displays, workshops, live entertainment, and more. Free table space is available to community organizations; sponsorship packages are available. Event is free and open to the public; all ages welcome. The group is organizing a cleanup effort – details T.B.A. The annual benefit concert will take place at Gramps in Wynwood in September – more information coming soon. When: Saturday, August 6 and Sunday, August 7 and 14, 2016. Where: August 6 – Miccosukee Resort & Convention Center, 500 SW 177th Ave, Miami, FL 33194; August 7 – Florida International University’s Modesto Maidique Campus, 11200 SW 8th St, Miami, FL 33199; August 14 – TBA. Why: Because the time is right for “Giving Back to the Everglades” (this year’s theme). Miami, FL – September 1, 2015 – Now in its eight year, the Everglades Awareness Benefit Concert combines activism, conservation and the arts like no other festival series in South Florida. The 2015 incarnation will feature some of the area’s best musicians from acts such as Spam Allstars, Suenalo, Iko–Iko, The Baboons andSunGhosts, repeat performers Sweetbone, Kuyayky, Mr. Grim Reapa and others, plus guest speakers, spoken word sets, dance performances, live paintings and more. The concert takes place at Gramps in Wynwood (176 NW 24th St, Miami, FL 33127) on Saturday, September 18, beginning at 4 p.m. All ages are welcome and special advance tickets are available online: http://ticketf.ly/1JTWwr8. For more details, visitwww.Gramps.com or call 305.699.2669. In addition to the acts listed above, the following are also scheduled to perform: ArmyGideon, The Oski Foundation, Purple?, Magic City Hippies, Above the Skyline,The School of Rock, Venus Rising Women’s Drum & Dance Ensemble, Orion,Teri Catlin, Val C. Wisecracker, Grant Livingston, Anthony Nelson, SilverNightingale, Linda Reiling and more. Guest speakers include: South Miami City Mayor Phil Stoddard, Houston Cypress, Tropical Audubon Society Executive Director Laura Reynolds, the executive director for South Florida Wildlands Association Matt Schwartz, energy chair for Sierra Club, Callusa Chapter Rhonda Roff, The Python Invasion producer Oscar Corral, Gator in the Bay artist Lloyd Goradesky, and other concerned citizens. There will also be spoken word performances by Alonso, Oscar Fuentes and more, dance performances by Elviza’s Rockabelly Hippies, Melody Gedbeon, MaiahDuck and others, live art by Anibal Fernandez, Linx and more. Also present: information booths from Love the Everglades Movement, the Tropical AudubonSociety, and other organizations. The event is being presented by Ploppy Palace Productions and the Love the Everglades Movement, with production support provided by 7th Circuit Productionsand Miccosukee Media. Sponsorship and vending opportunities are still available. Those wishing to donate online can do so at www.gofundme.com/LoveTheEverglades. For more information, call 305.579.0069 or visitwww.PloppyPalace.com. This entry was posted in Blog and tagged gramps, live music, love the everglades movement, the Baboons. Bookmark the permalink. Miami, FL – July 29, 2015 – The non-profit, volunteer organization Love the Everglades Movement implements strategies to address the environmental, structural, cultural and spiritual problems plaguing the Florida Everglades by raising awareness and organizing community engagement. On August 22, 2015 at the Miccosukee Resort & Convention Center (500 SW 177th Ave, Miami, FL 33194), and August 23, 2015 at Florida International University’s Modesto A. Maidique Campus (Graham Center, 11200 SW 8th Street, Miami, FL 33199, room 150), the group will convene during the 2nd annual Summer Symposium. Guest speakers, PechaKucha presentations, physical and digital art displays, workshops and live entertainment will serve to educate and hopefully inspire the community to conserve South Florida’s greatest natural resource. Day one of the symposium runs 9 a.m. to 5 p.m. in the second floor ballroom of the convention center, with a catered lunch served courtesy of the symposium’s presenting sponsor, the Miccosukee Tribe of Indians of Florida. 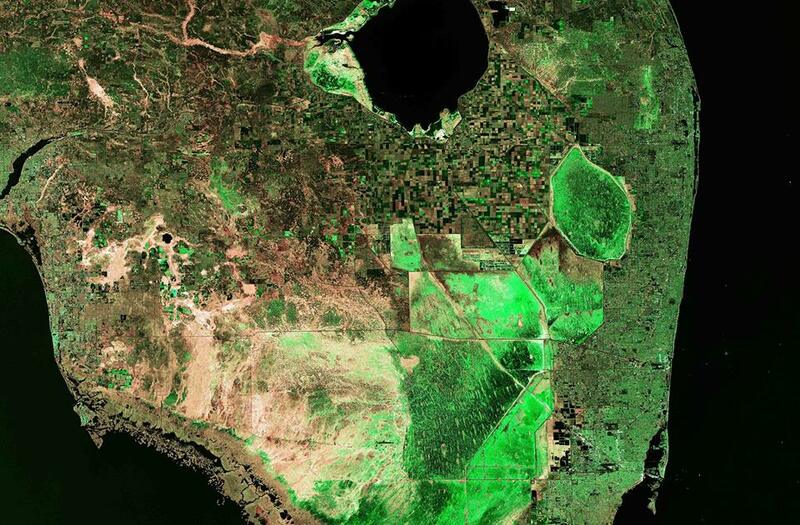 Day two of the Summer Symposium 2015 will consist of an in-depth look at activist planning, strategies and tactics with environmental organizations with a common mission: to restore and preserve the Everglades. F.I.U.’s Global Indigenous Forum is the venue sponsor for day two, and is providing additional support. Attendees will have an opportunity to network with a diverse community of environmental advocates, and they will break up into groups to explore in detail regional environmental concerns with the goal of creating plans of action for making progress on these issues. Provide information on environmental, political, social, and spiritual concerns regarding Everglades restoration, water contamination, land use, and indigenous rights. “As artists, we have to use all the tools available to us to get this work done,” explainsJean Sarmiento, co-founder of the Love the Everglades Movement. “We have to give the water the respect it deserves. I don’t care if you’re a diva, a gangster, if you’re RickRoss, if you’re black, white, green, or purple – it behooves us to reach out to as many people as possible and engage them in this necessary work.” To that end, the event organizers will be providing multilingual translation services in Spanish, Haitian Creole, Miccosukee, and American Sign Language. They are also providing community organizations with free booth space so they can get their message out to attendees. The event is free and open to the public both days and all ages are welcome. Free table space is available for community organizations that would like to participate on Saturday, August 22. A special benefit concert is planned for Saturday, September 19, 2015 at Gramps in Wynwood; details are forthcoming. 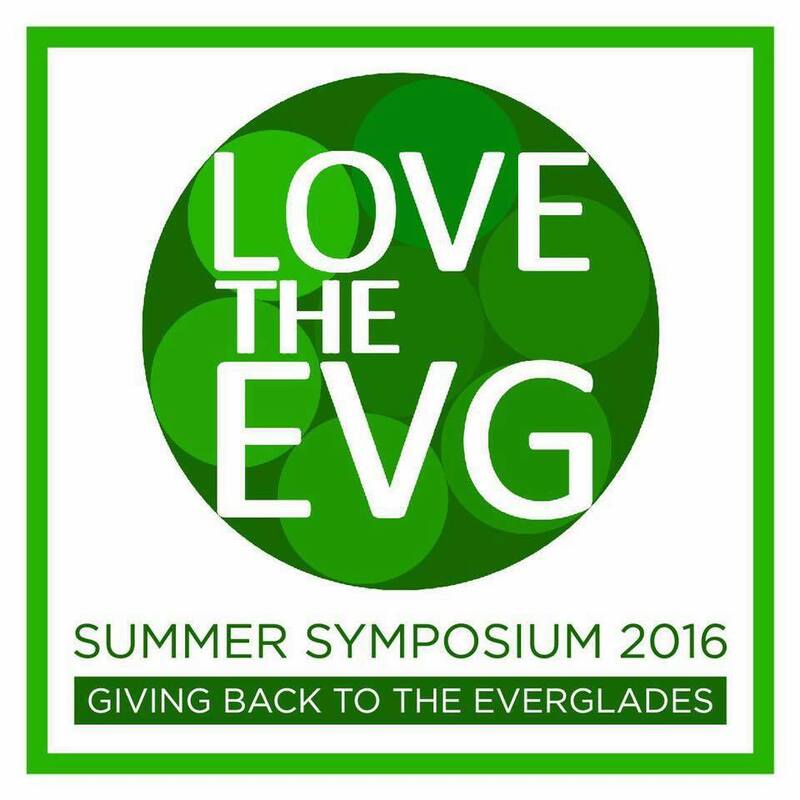 For more information, including the full list of speakers, entertainment, activities and registration, visit www.lovetheeverglades.org/summer-symposium-2015.html or email Cypress at LoveTheEverglades@gmail.com.